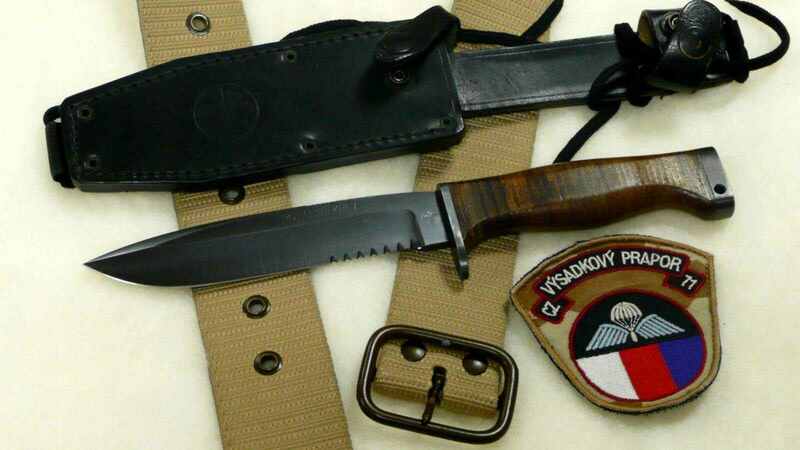 Since 2000, the armament of Chrudim Parachute Battalion knife under the designation 2-CH-00 Charon. Knife is patented and the soldiers pays it themselves and is always solemnly handed over to the decree.. Charon is made of spring steel 14260. The handle is made of leather rings which are constricted with threaded cap. The steel cap has a 4mm diameter gap for a lanyard. 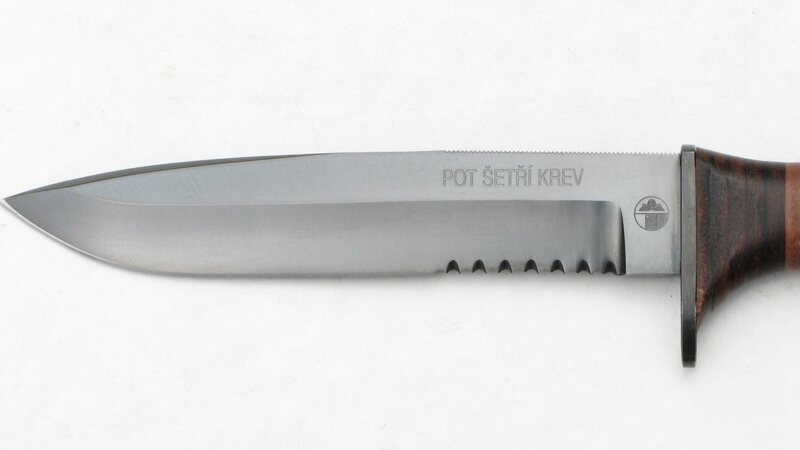 On the left side of the blade is the czech inscription “Pot šetří krev”, which means “Perspiration saving blood”. 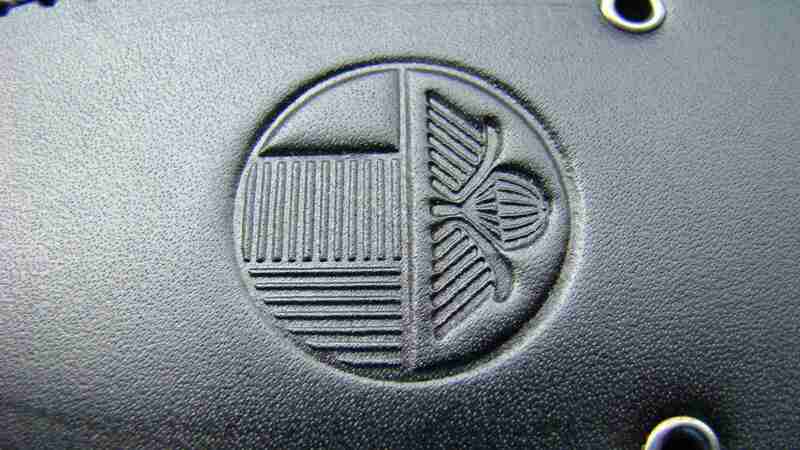 On the right side of the blade is the logo of creator and manufacturer of knife and a numerical sign CH-000-04. That means: CH is the series, 000 is the serial number of the knife in the series and 04 is the year of manufacture 2004 . 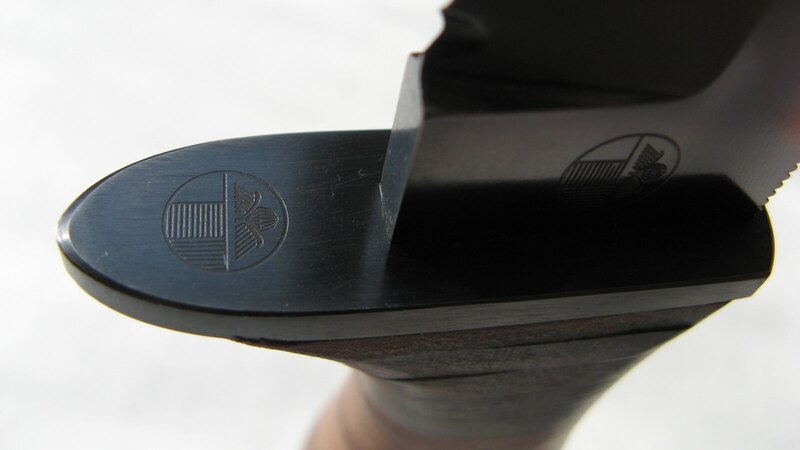 At the bottom of the blade is a saw designed to cut parachute rope. At the top of the blade is a thumb prop. 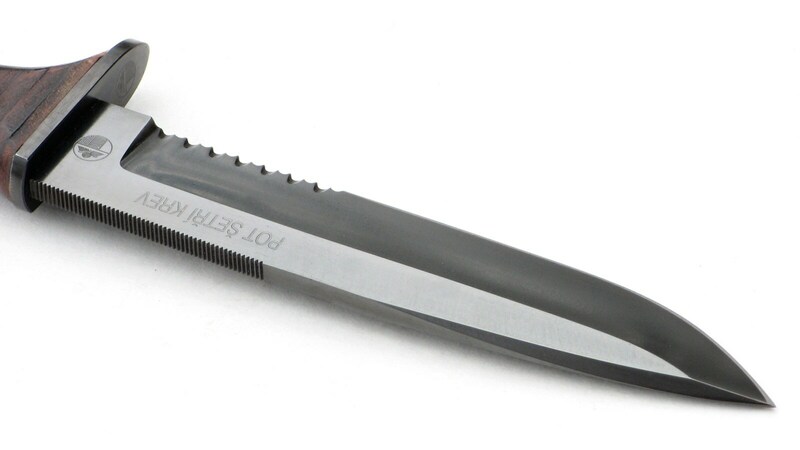 Between the blade and the handle is one-sided steel shroud. Falco was made by Lubomír Maďarič from Brno. 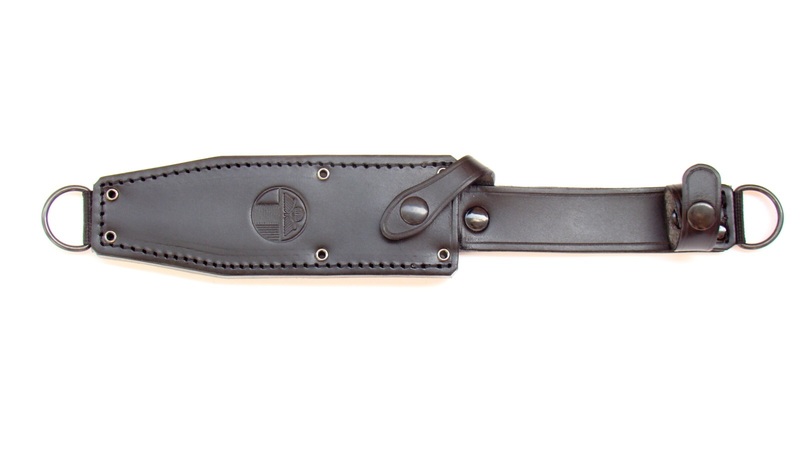 The sheath is made of black natural leather of the five layers together and insured by six rivets. One layer leather thickness is 3mm. 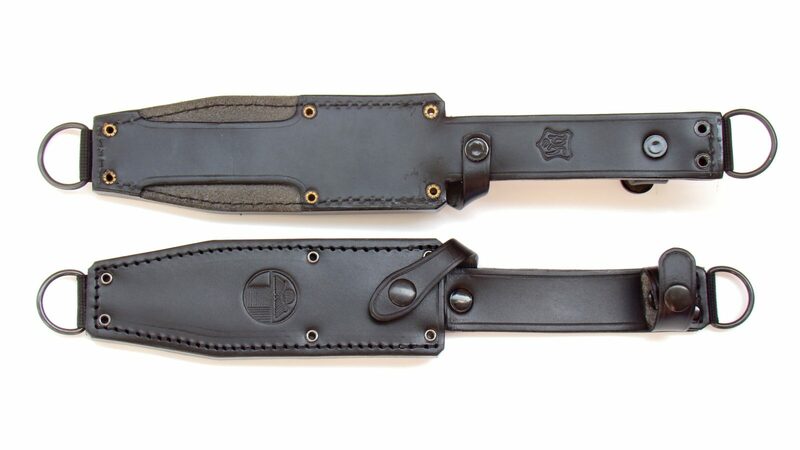 Sheath has except the classical opening also a “running safety” with which the knife does not move while running or with a sheath with knife clipped to tactical vest with handle down. Sheath has at the back side except the classical loop for waistbelt, also the underside loop, throught which can be sheath attached such as the femoral sheath carrier or to the leg using rope or a belt. 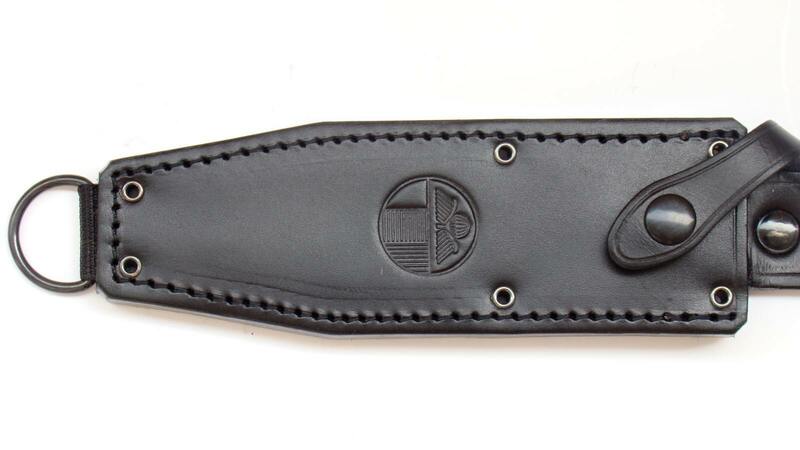 On the front side of the sheath is embossed logo 102nd recon battalion and on the back of the belt loop is the manufacturer’s sheath logo – company Hess Brno.